Creating the perfect Halloween costume can be pretty difficult, especially if you’re making one at the last minute. Thankfully, you don’t have to worry about that anymore! 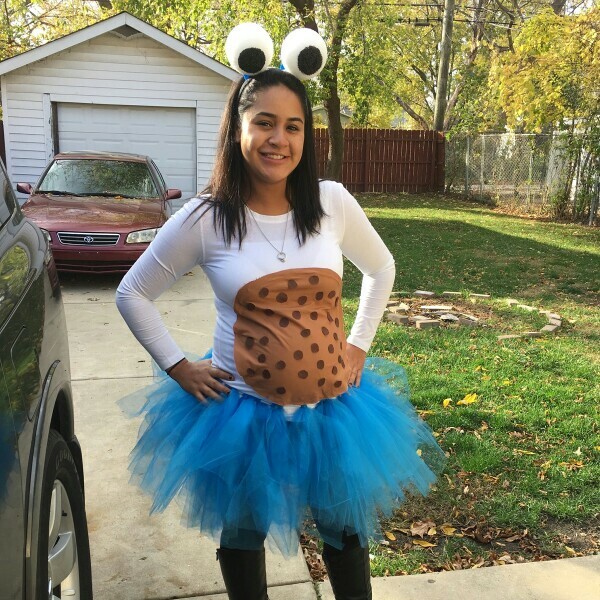 In this article, you’ll find a list of ideas and suggestions for a perfect, easy DIY Halloween costume that you can pull off without any hassle. Feel free to pin any picture that inspires you to your personal Pinterest board. 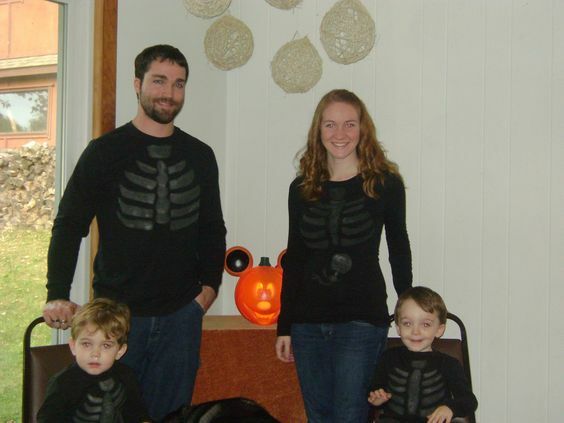 A family of skeletons is always a great option to get everyone in on the holiday! Hopefully your egg won’t crack before Halloween! 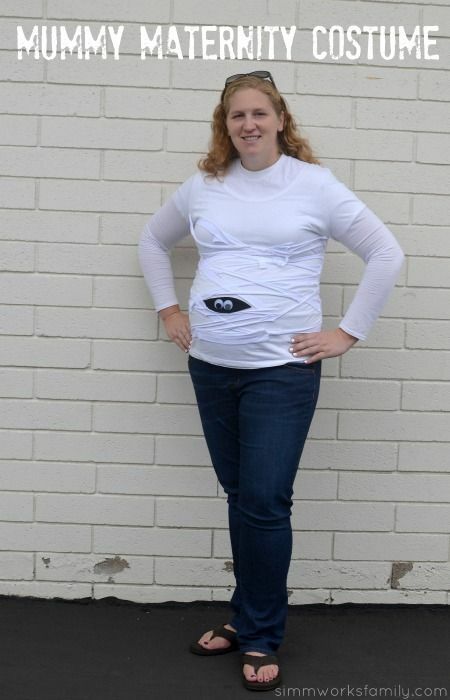 This is an easy costume that also gets high marks in the creativity department! A mummy for mommy! 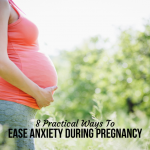 This is easy to pull together and super comfy! 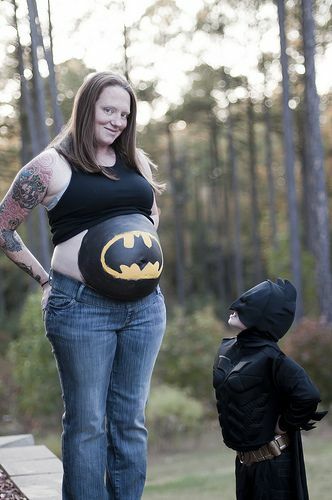 Painted baby bumps are becoming extremely popular! Batman is a great option! How about the “easy” button from Staples? 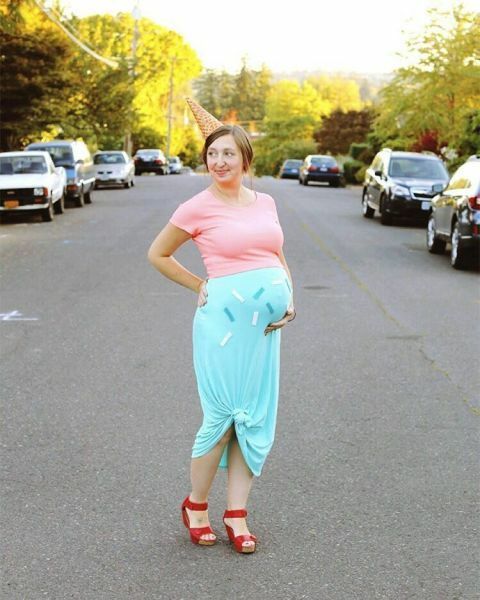 This could win you a prize for best costume! 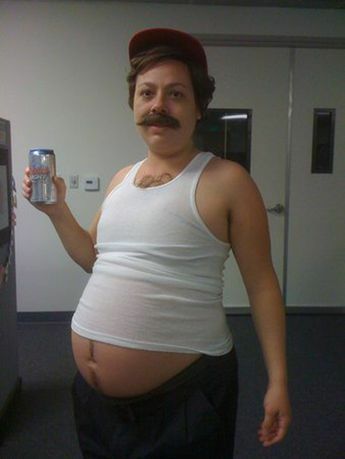 Never drink while you’re pregnant, but you could still pull this costume off! 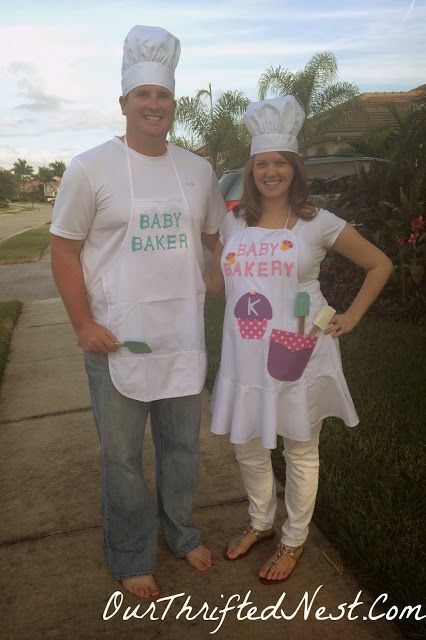 There certainly is a bun in the oven at this bakery! This is a great way to go as a couple for Halloween! Holy guacamole! 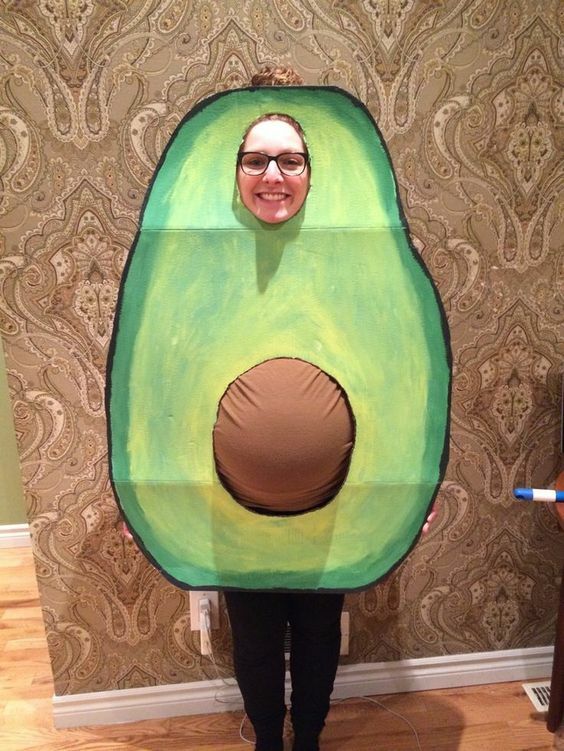 This avocado costume is perfect for any momma-to-be! 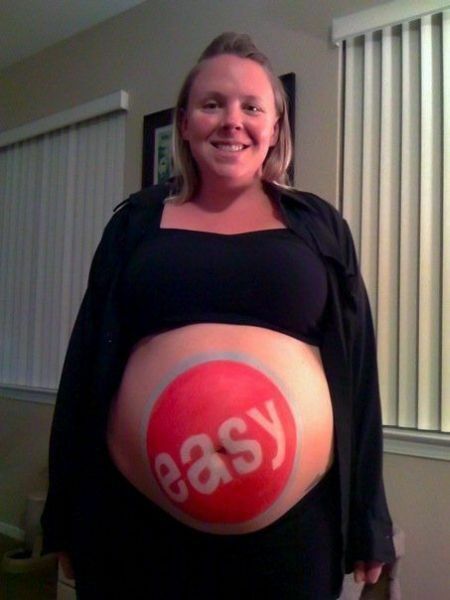 We love this costume for its simplicity and cuteness! 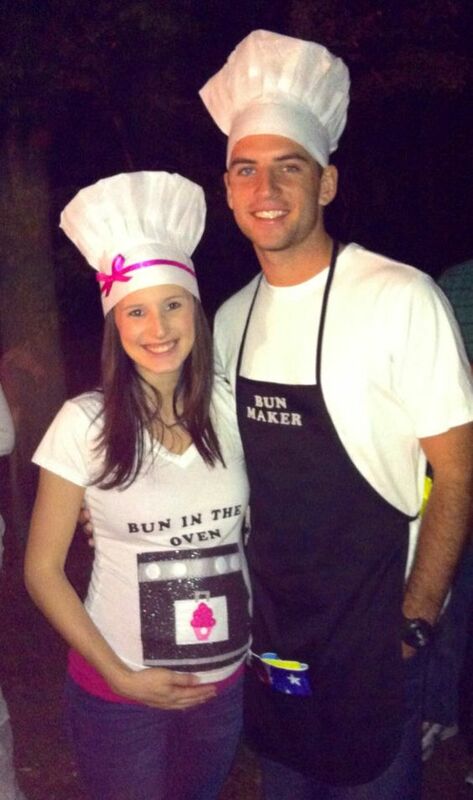 Similiar to the baker’s costume above, here’s another version of a baker with a true bun in the oven! 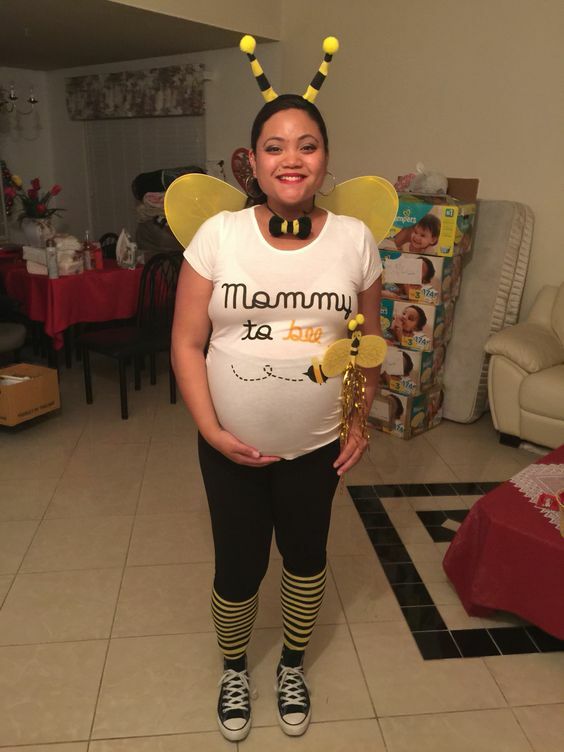 This bee will certainly be buzzing with excitement this Halloween! 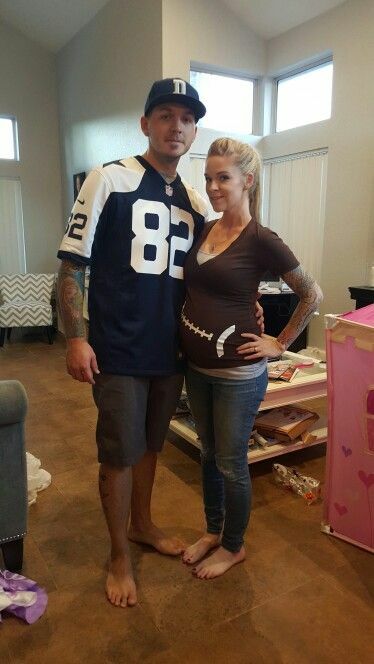 Get in the spirit of Halloween & football season with this couple’s costume. You won’t be scaring anyone away with this ghost costume. 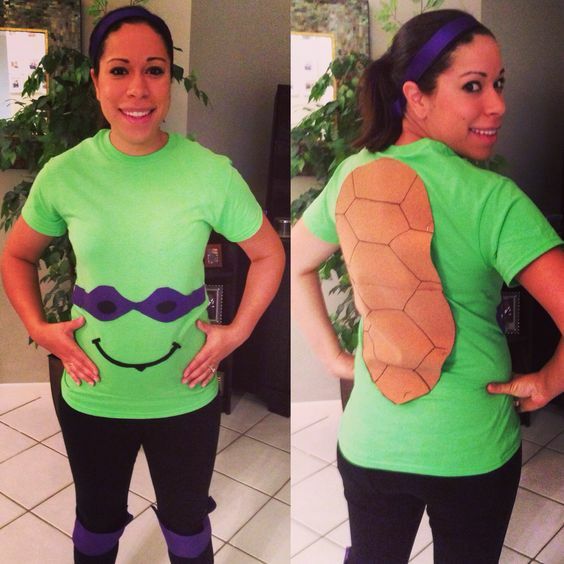 It’s all about turtle power for this momma-to-be! 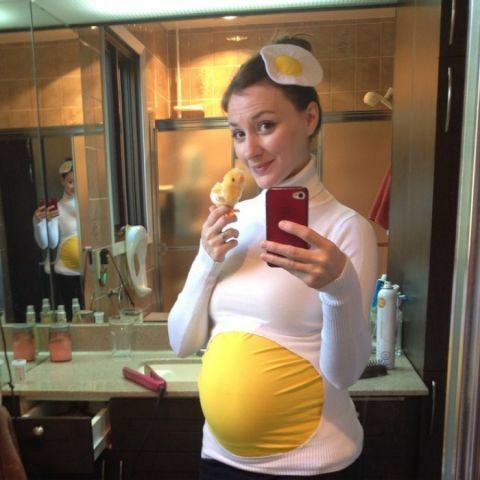 This is an easy costume to pull off when you’re pregnant! 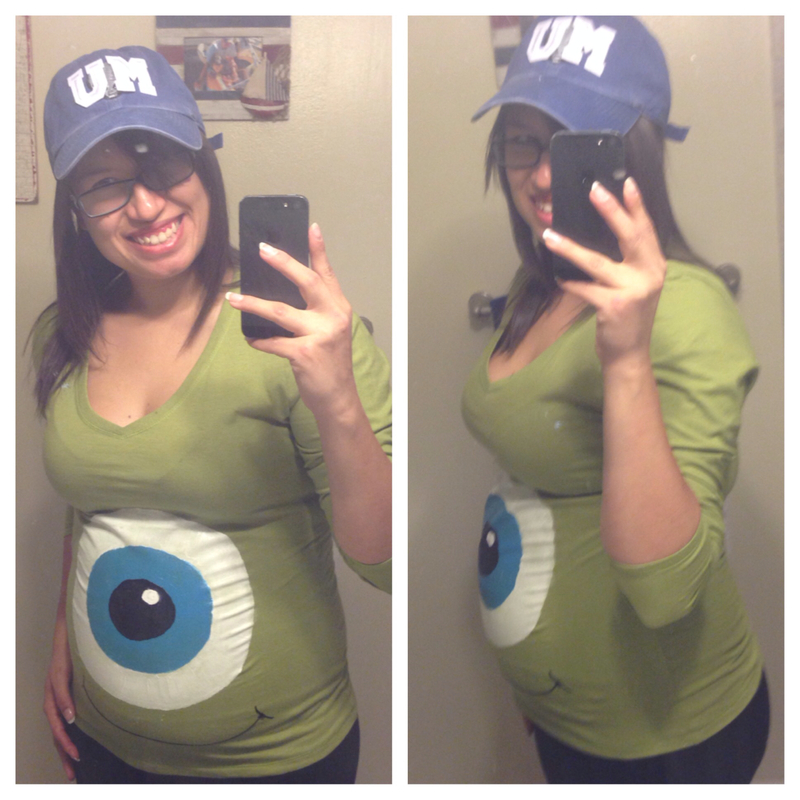 All eyes are on this Monsters Inc. inspired costume! 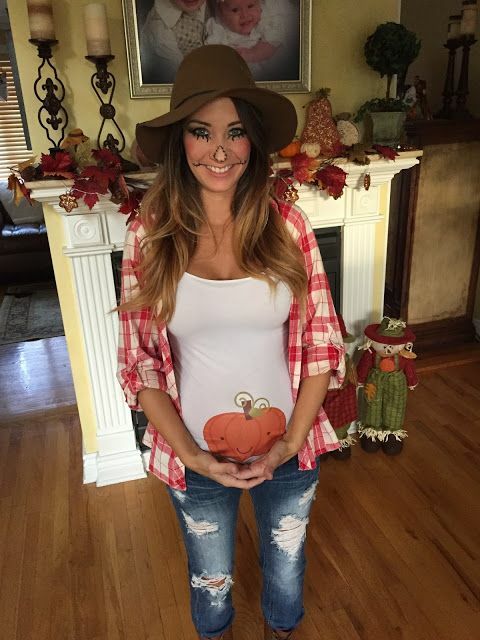 Simple & cute, this is another easy costume to pull off if you’re pregnant. Hang on Humpty! We don’t want you to have a great fall this Halloween! But you sure do make a great costume. Cookie monster never looked so good! 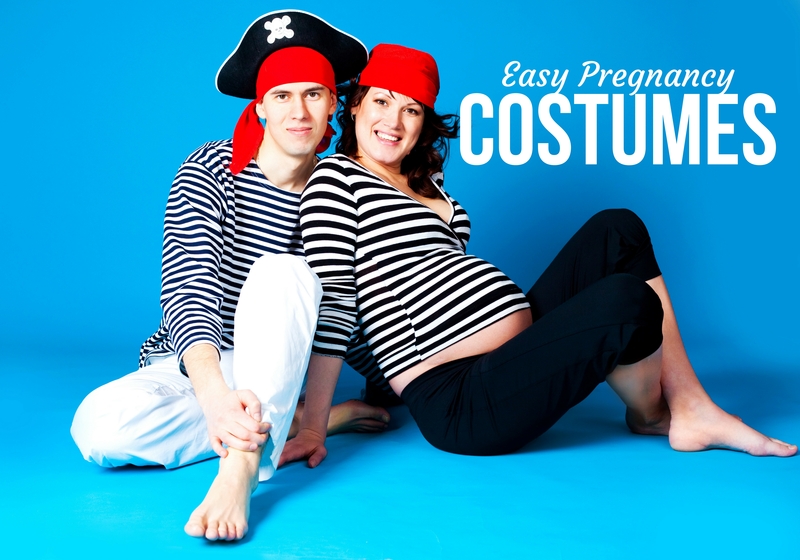 This is a fun costume for any pregnant woman to try! The magic 8 ball always has the answer. 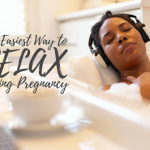 Do we see a baby in your future? Yes, definetly! 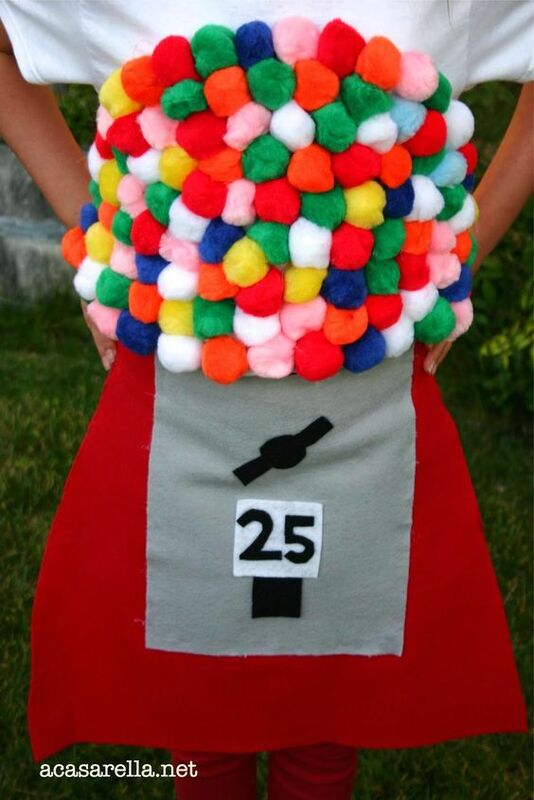 This gum ball machine is ready to dispense candy at any time! After seeing all of our suggestions, which one are you going to try? Or is there another one that caught your eye? Let us know in the comment section below. Happy Halloween! 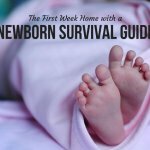 Are You Determined to Be the Best Parent Possible?